If you had a superpower, what would it be? The ability to fly? Super strength? Turn invisible or read minds? I’ve always heard people who lack one sense – sight or hearing, for example – have others that work twice as well, so I checked the Googles and found this from Scientific American: “If one sense is lost, the areas of the brain normally devoted to handling that sensory information are rewired and put to work processing other senses.” Hence Ray Charles and Stevie Wonder’s enhanced hearing and resulting musical badassery. Not technically a superpower, but they for sure made the world 10% happier. Using that logic, Joesiah should have a superpower greater than all six Avengers combined. 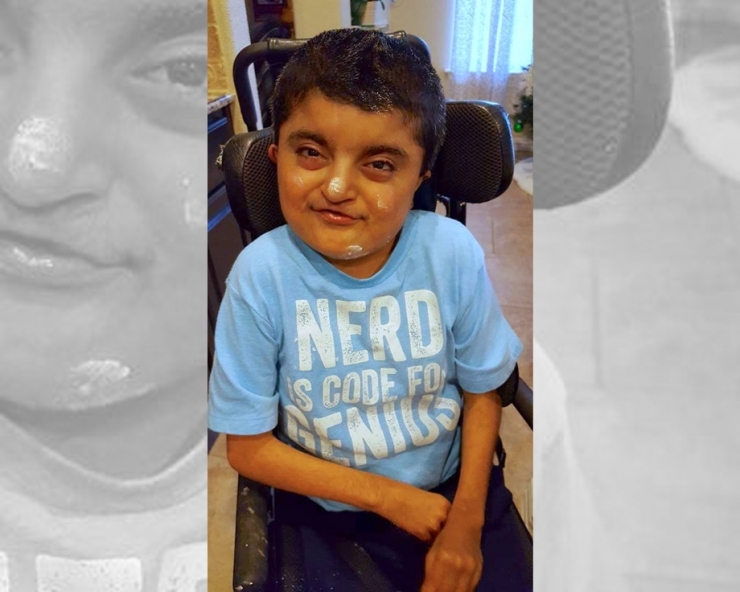 His sight and hearing are both extremely reduced, he can’t walk or talk, and he can only eat via the feeding tube in his stomach. Instead of experiencing things the way most of us do, Joesiah’s world is like…Spidey sense on steroids, in the most beautiful ways. “What are some things Joesiah really likes?” I asked his dad Jose. 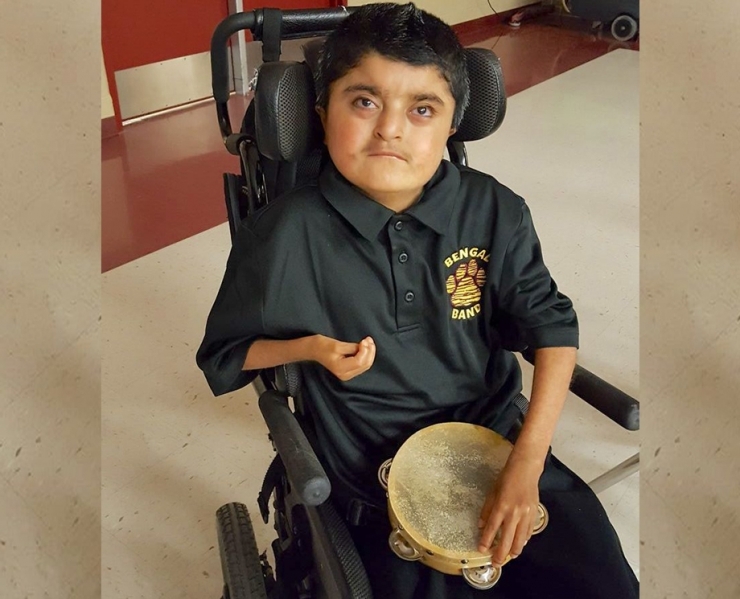 I wanted to know more about Joesiah’s personality, more about life outside his diagnosis. Oh wait, I need to tell you about that, too. 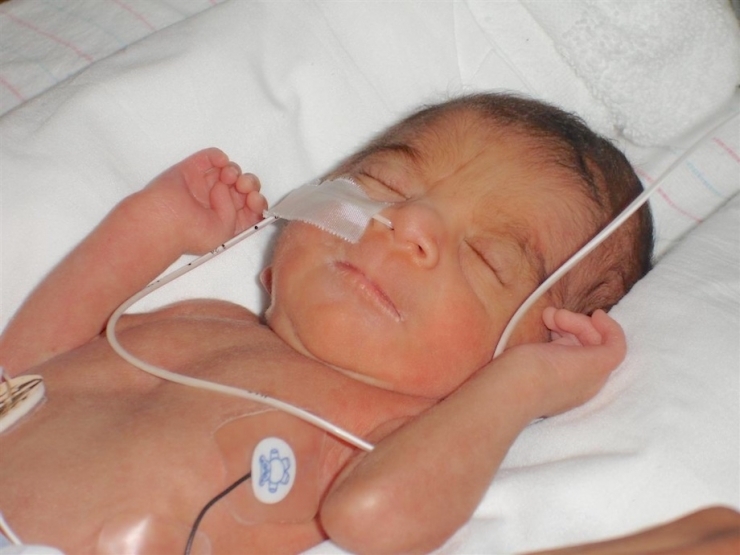 Joesiah was born almost two months early, and aside from being tiny and having regular preemie issues, he was a pretty typical baby. But a few months after he was born, his parents worried he wasn’t quite as typical as they thought. He wasn’t growing well, or developing like other babies his age, and they noticed his mouth had a natural frown about it. 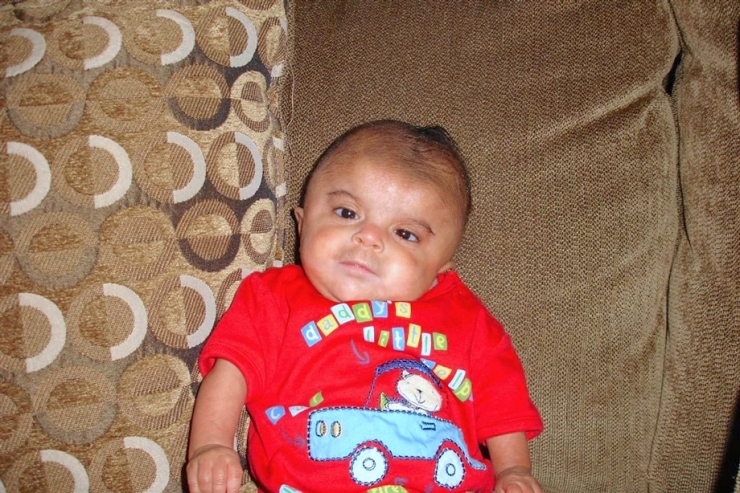 They took him to doctor after doctor, and after much testing, were told Joesiah had Cornelia De Lange syndrome. 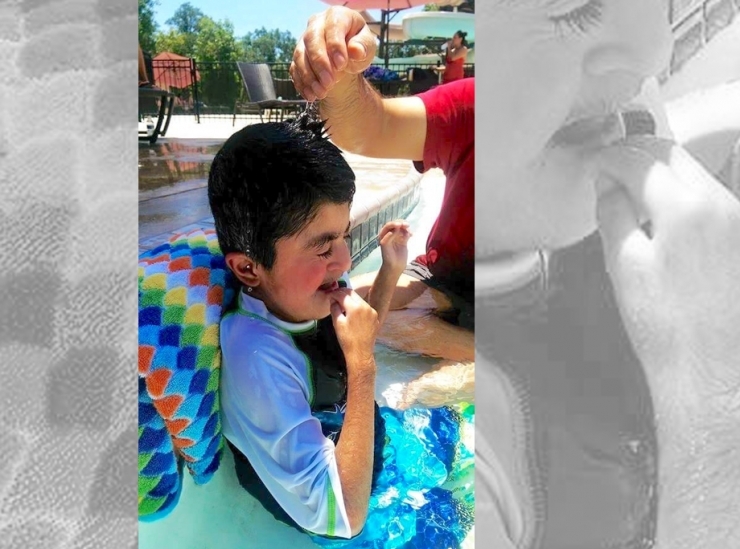 Only it wasn’t Cornelia De Lange syndrome, and it would be another two years before genetic tests revealed their son’s correct diagnosis: diploid tetraploid mosaic syndrome. 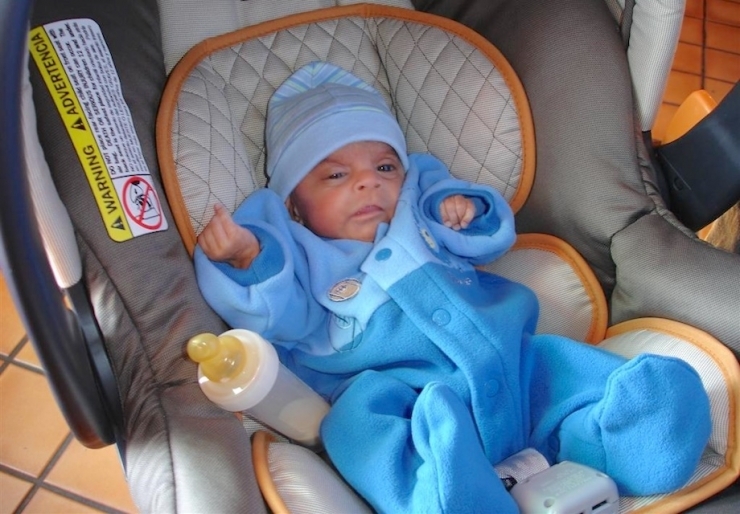 Actual footage of Joesiah’s reaction to being misdiagnosed. Diploid tetraploid mosaic syndrome is an incredibly rare condition where patients have four copies of their chromosomes in each cell. 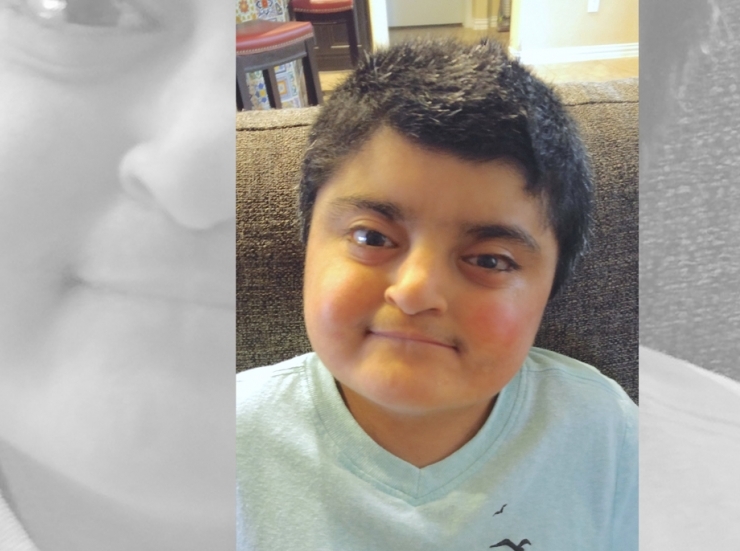 Not all patients have the exact same mutations, and Joesiah happens to be the only known patient with his particular presentation. Research scientists even wrote an entire clinical study about him – he’s kind of a big deal. Being the only one in the world comes with drawbacks, too. 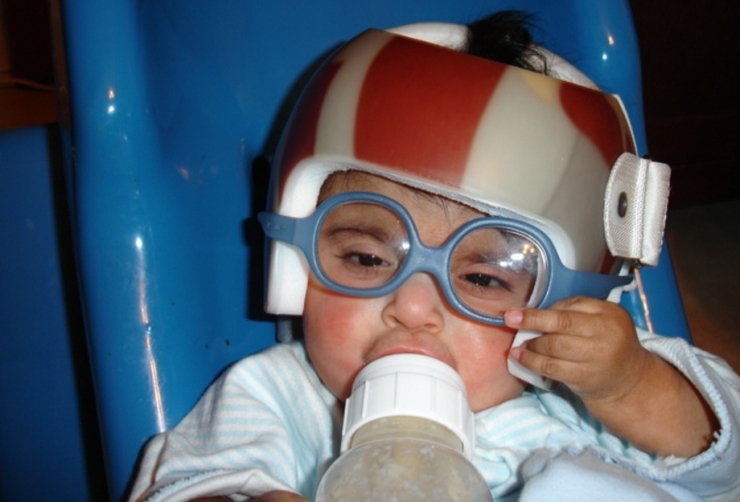 His doctors don’t have anyone to compare him to, so they aren’t quite sure about his prognosis. 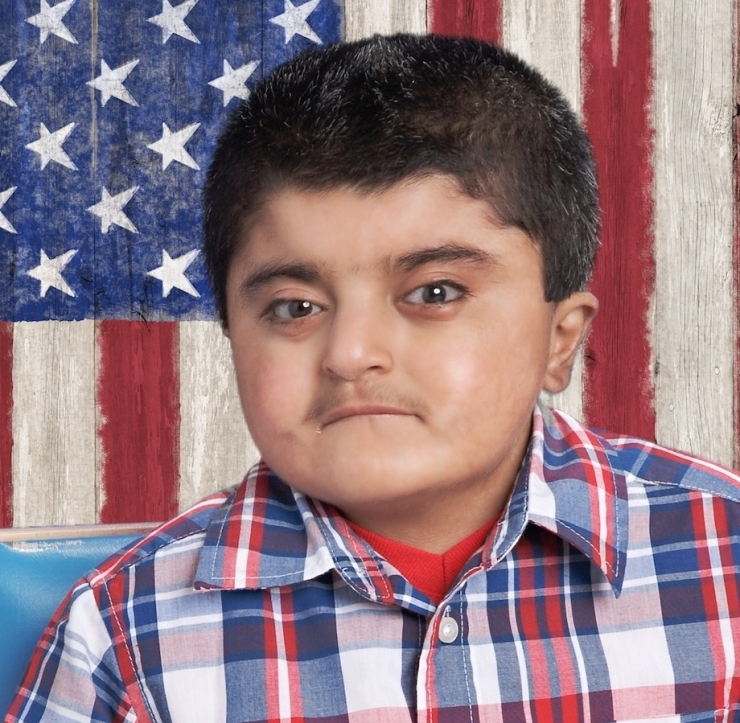 No matter what, Joesiah’s family is committed to making sure every day is just as special as he is. He likes swimming, particularly the feeling of water on his skin. He enjoys being outside in general, actually, feeling the wind and the sun and freedom of the great outdoors. He loves music, but he’s all about that bass. Jose explained that because Joesiah can only hear low tones, he feels the music more than he hears it. They listen to a good bit of country (they’re in San Antonio, after all) and hip-hop, and Joesiah’s in band at school. It’s his favorite class. He loves avocados, Jose said, and ice cream. 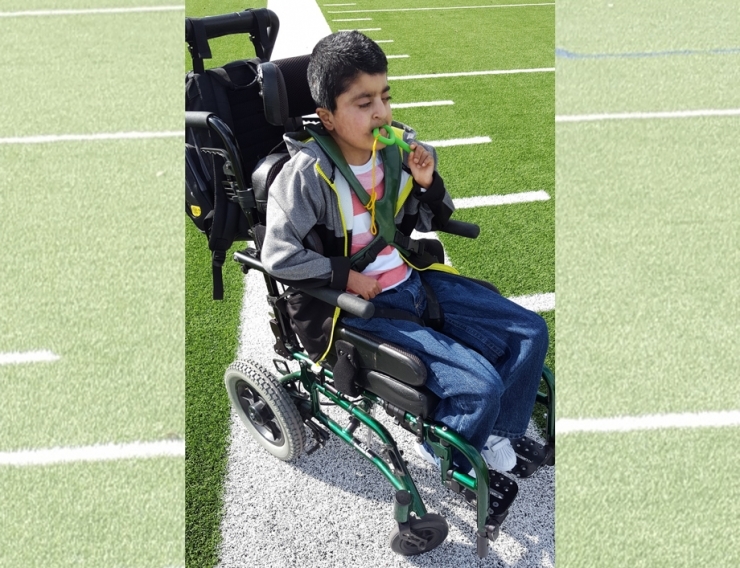 But he only gets a taste here and there, because ingesting food orally could be aspirated into his lungs, and his family just doesn’t want to risk it. All Joesiah’s favorite things sound awesome, and I started to sense a pattern. Where you and I process the world through our eyes and ears, through our main senses, Joesiah feels things, and not just any things, they’re usually the most vivid, beautiful parts of life. 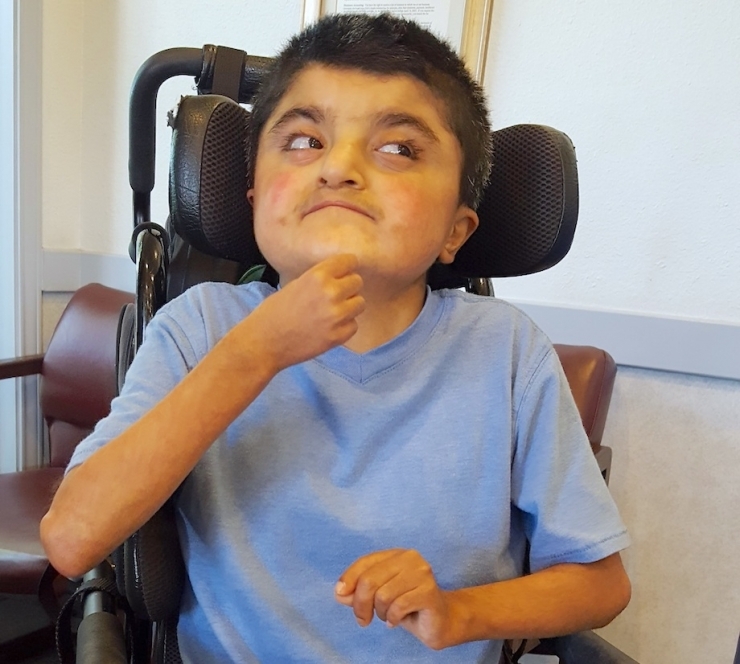 Joesiah’s brain rewired itself to make sure he could experience as much of the world as possible in spite of his diagnosis. If that’s not a superpower, I don’t know what is. 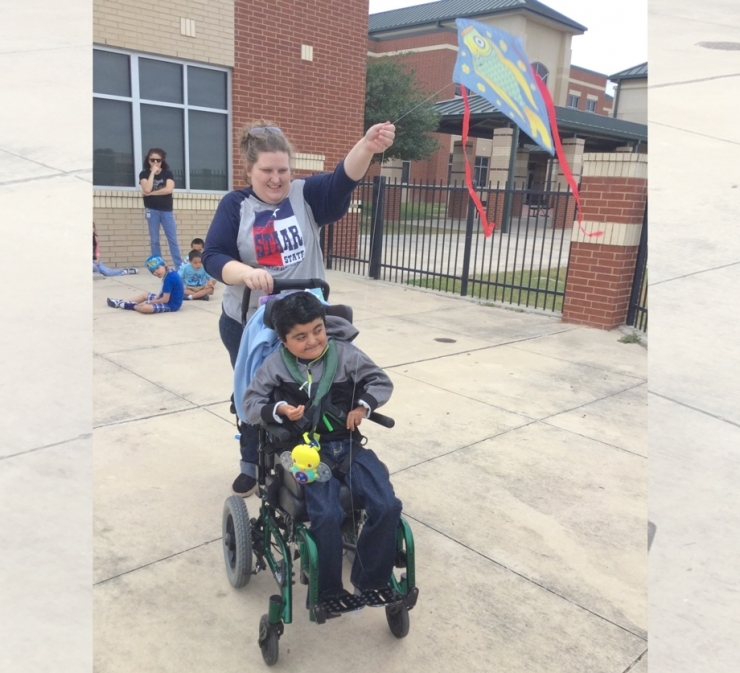 With a $6,000 grant, we gave Joesiah a custom adaptive bike to get outside and experience nature in his own way. 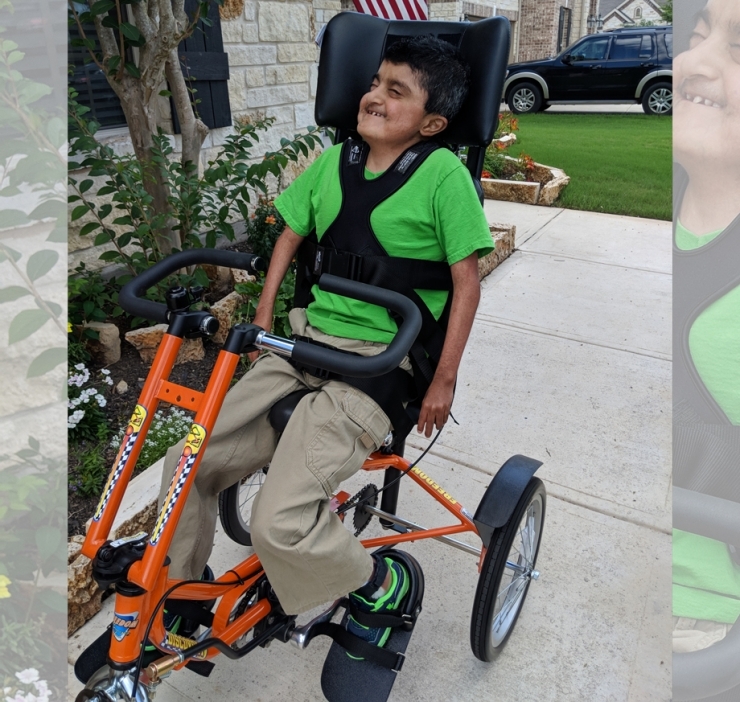 And for when he’s ready to go back inside, we gave him a specially-designed rocking seat, because it’s great for kids with sensory processing superpowers, and let’s face it, way more fun than sitting in a wheelchair all day. Big thanks to our monthly donors for making these gifts possible. 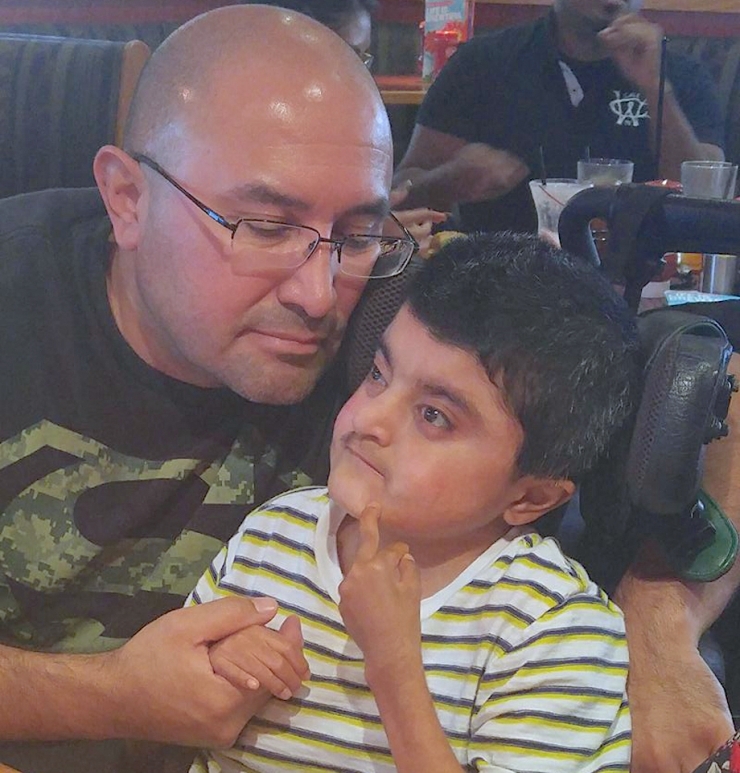 Kids like Joesiah need people like you to help them navigate a world that could easily leave them in the dark. Brighten the lives of more superheroes just like him by becoming a monthly Chive Charities donor right HERE.